Boerne Air Conditioning Experts is your reliable local source for heater repair in Stone Oak in San Antonio, TX and the surrounding areas. 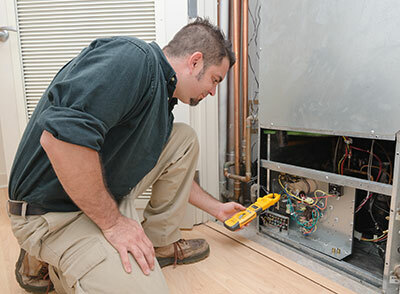 Our team understands that heat pumps can be used to both heat and cool your home. They use a similar process that your refrigerator uses to keep your food cold and fresh. Have you ever noticed the hot coils on the back of your fridge? They are releasing heat from the inside your fridge. “How does it do this?” you may ask. 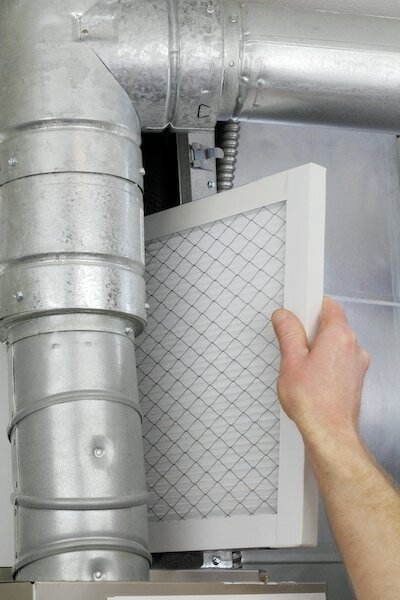 It all involves how heat pumps transfer heat energy to both heat and cool enclosed spaces. Heat pumps work by using refrigerant to absorb and release heat energy through a process that pressurizes the gas to heat it up and depressurizes it to cool it down. There are several different types of heat pumps, such as geothermal and air-to-water; however, air-source heat pumps are the most common. Think of an aerosol can or a bicycle pump. When you release air (a.k.a. pressure) the released gas feels cold. If you add pressure, you will notice that the bicycle tire heats up. When the refrigerant changes states, from a liquid to a gas, the temperature changes. The refrigerant is designed to reach certain temperatures at specific pressures for optimum efficiency (the common R-22 coolant, also known as Freon, is being phased out and replaced by a new, more environmentally friendly coolant, R-410A). When it comes to heating, the closed loop coolant system operates much the same way in the fall and winter, but in reverse. Instead of the refrigerant picking up heat from inside the home, the refrigerant now gets to gather heat from the outdoor environment. When the refrigerant loses pressure and turns into a vapor, it gets much colder than the temperature outside. Since heat energy flows from hot to cold, the refrigerant picks up heat from the outdoor environment. After the refrigerant absorbs all the heat it can, the outdoor compressor pressurizes the gas into a hot liquid. The extremely hot refrigerant travels to your indoor coils and your blower helps release the heat from the refrigerant into your duct system. You may think that when it’s cold outside, there is no heat to absorb. Fortunately, there is still plenty of heat to be harvested, even when temperatures are as low as 5 degrees F.
To find out more about how your heater operates to warm your home, or inquire about potential heater repairs for your unit, call us at Boerne Air Conditioning Experts.